Did you know that the relationship, duties and legalities of working with Real Estate Agents varies from state to state? Do you know how Agency Relationships work in North Carolina? It's okay if you said, "No." A lot of people aren't aware of the in-s & out-s of the Realtor/Client relationship within their state of residence, so we want to help inform you! 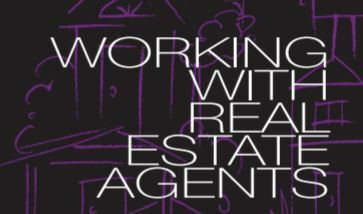 In NC we have a brochure titled,"Working With Real Estate Agents" that explains how agency relationships work in our state. When you work with an agent on the sale or purchase of a home, this information will be presented to you so that you know exactly how you're Realtor is working for YOU! If you are selling real estate, you may want to “list” your property for sale with a real estate firm. If so, you will sign a “listing agreement” authorizing the firm and its agents to represent you in your dealings with buyers as your seller’s agent. You may also be asked to allow agents from other firms to help find a buyer for your property. Be sure to read and understand the listing agreement before you sign it. Your agent must give you a copy of the listing agreement after you sign it. Services and Compensation: To help you sell your property, the listing firm and its agents will offer to perform a number of services for you. These may include • helping you price your property • advertising and marketing your property • giving you all required property disclosure forms for you to complete • negotiating for you the best possible price and terms • reviewing all written offers with you and • otherwise promoting your interests. For representing you and helping you sell your property, you will pay the listing firm a sales commission or fee. The listing agreement must state the amount or method for determining the sales commission or fee and whether you will allow the firm to share its commission with agents representing the buyer. It may be difficult for a dual agent to advance the interests of both the buyer and seller. Nevertheless, a dual agent must treat buyers and sellers fairly and equally. Although the dual agent owes them the same duties, buyers and sellers can prohibit dual agents from divulging certain confidential information about them to the other party. Some firms also offer a form of dual agency called “designated agency” where one agent in the firm represents the seller and another agent represents the buyer. This option (when available) may allow each “designated agent” to more fully represent each party. Be sure to read and understand any agency agreement before you sign it. Once you sign it, the agent must give you a copy of it. Some firms also offer a form of dual agency called “designated dual agency” where one agent in the firm represents the seller and another agent represents the buyer. This option (when available) may allow each “designated agent” to more fully represent each party. If you choose the “dual agency” option, remember that since a dual agent’s loyalty is divided between parties with competing interests, it is especially important that you have a clear understanding of • what your relationship is with the dual agent and • what the agent will be doing for you in the transaction. This can best be accomplished by putting the agreement in writing at the earliest possible time. But remember, the agent represents the seller—not you—and therefore must try to obtain for the seller the best possible price and terms for the seller’s property. Furthermore, a seller’s agent is required to give the seller any information about you (even personal, financial or confidential information) that would help the seller in the sale of his or her property. Agents must tell you in writing if they are sellers’ agents before you say anything that can help the seller. But until you are sure that an agent is not a seller’s agent, you should avoid saying anything you do not want a seller to know. Page 4 of the brochure is reserved for signatures and agent information, but the brochure in it's entirety is not a contract. A common misconception that we hear is that people don't want to sign this because it "looks" like a contract, but we want to clear the air! Signatures are required only to provide proof that the agent you're working with has fully informed you of how agency relationships work in our state. In order to make an offer on a home or list your home with an agent for sale, you will be asked to sign off saying that you understand how you are being represented! It's for your protection, so don't be alarmed if you're asked to sign this during the initial stages of your home search or sale! We want to be clear it's not a contract, just a disclosure of our duties on your behalf!